Simpson Heating & Air is proud to serve the Carrollton community! 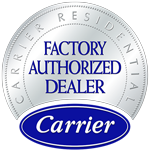 About Carrollton, OH - Happy to be your hometown Heating & Air Conditioning Contractor! Carrollton is a village located in Carroll County, Ohio, and with a population of about 3,300 residents this community serves as the county seat. This village was established in October 1815, and after originally being known as “Centerville,” the name was changed in 1834. This community is well-known for being the home of many of the Fighting McCooks, who rose to fame during the Civil War. Carrollton lies within a humid continental climate zone, and although it is known for having four distinctive seasons, precipitation levels are consistent throughout much of the year. July is the warmest month with temperatures in the mid-70s, while winter temps often fall below freezing. As the county seat, Carrollton is home to a variety of unique attractions in this region of the state. The McCook House is a National Historic Place in this community, and the Algonquin Mill Complex is another destination that history buffs often appreciate. There are a variety of outdoor activities available in this area due to the close proximity of Atwood Lake, including the Petersburg Marina and A-1 Twin Valley Campground.